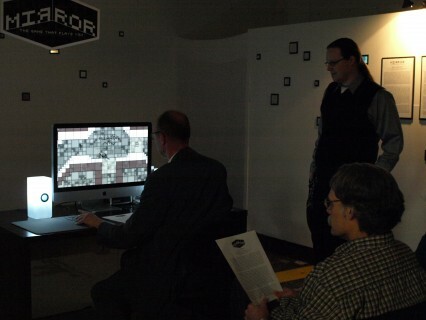 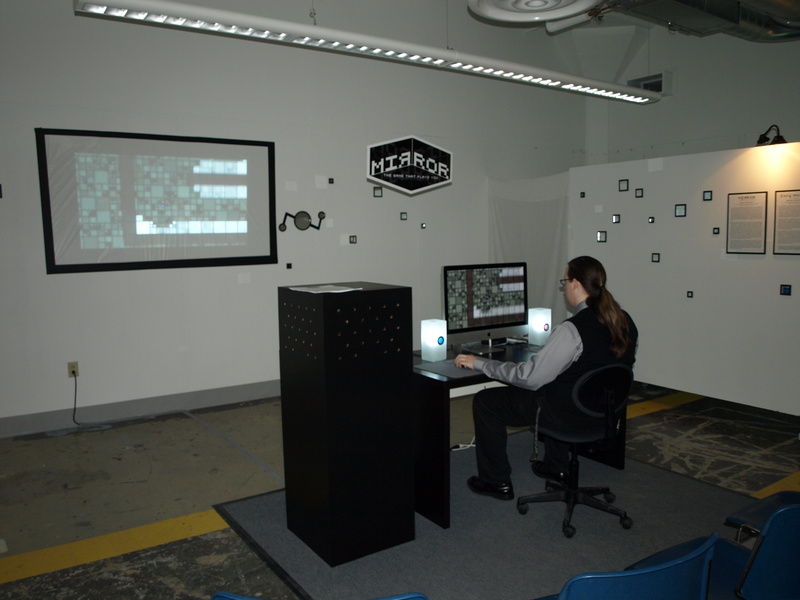 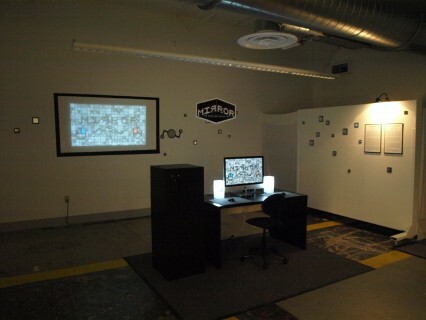 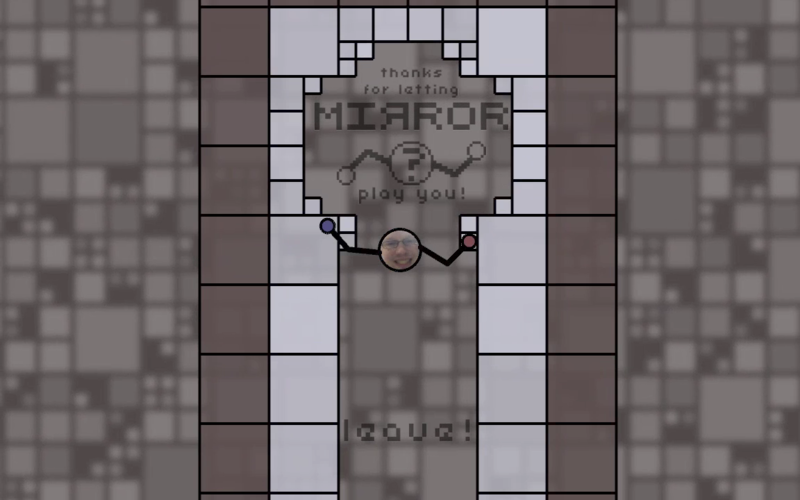 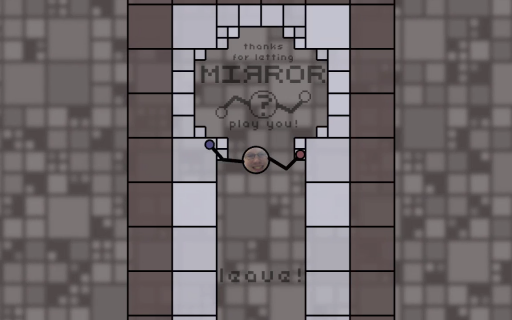 Yes, the title is a little cheesy, but MIRROR: The Game that Plays You was my 2010 BFA thesis project at the Cleveland Institute of Art. 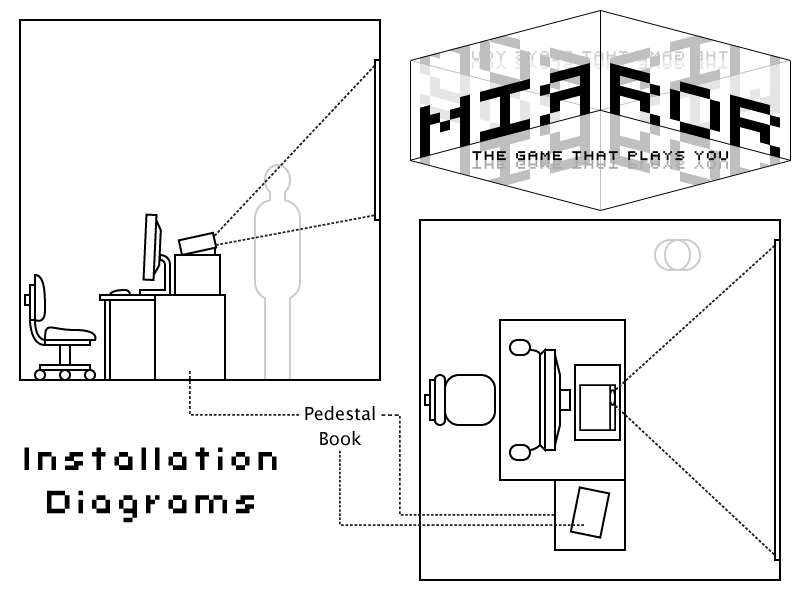 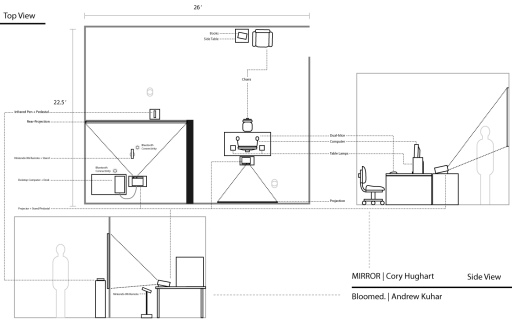 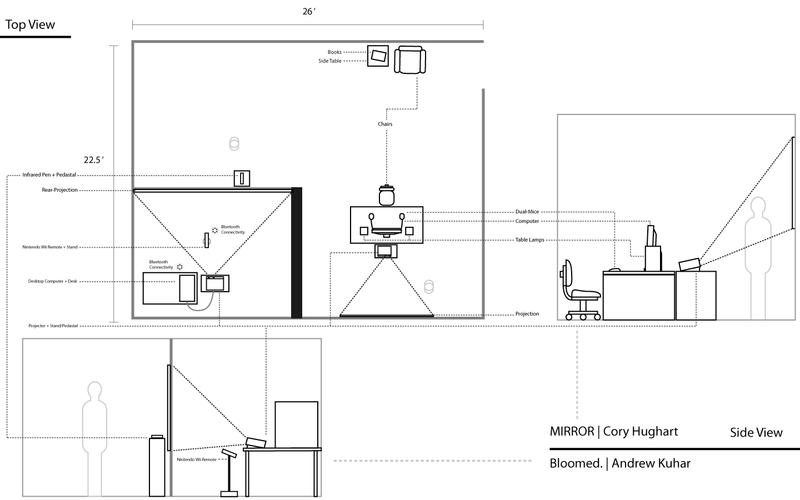 MIRROR is an exploration of self-referentialism as a mechanism for immersion in games. 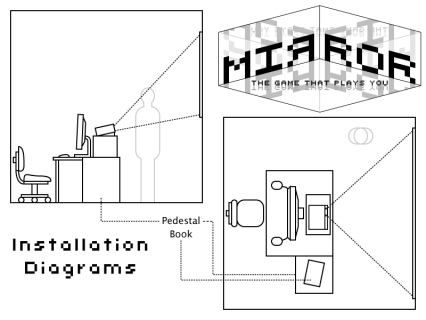 The idea of mirroring is present not only in the game world and avatar, but in the control devices and installation space (under a tight college student budget, anyways). The screen at the beginning of the game (shown in the first and second slides above) is displayed at all times until you sit down in front of the monitor and your face is recognized. 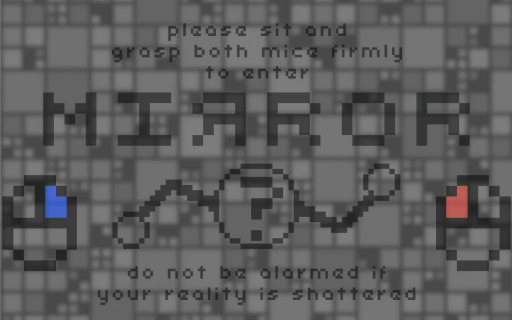 The “fourth wall” shatters and you are hurled into a strange geometric world with an avatar that reacts intuitively to your input from two computer mice that map to its hands. 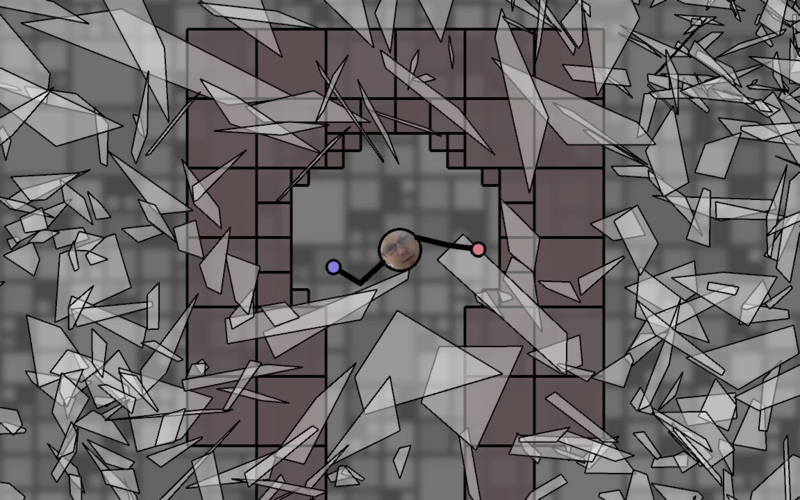 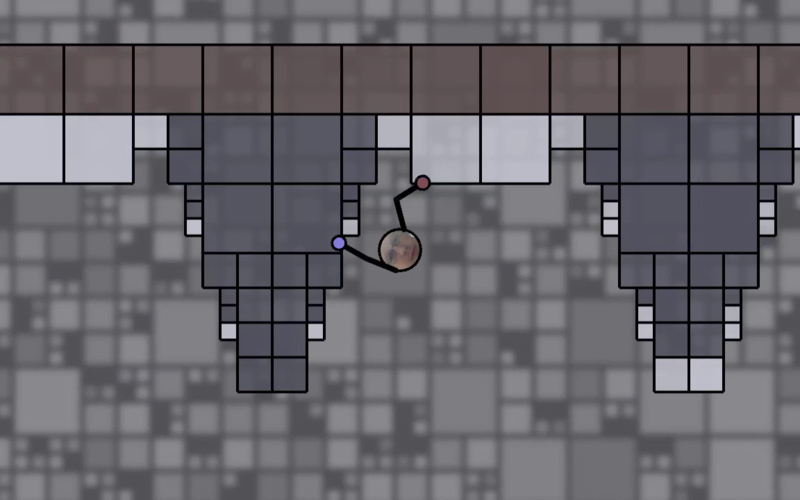 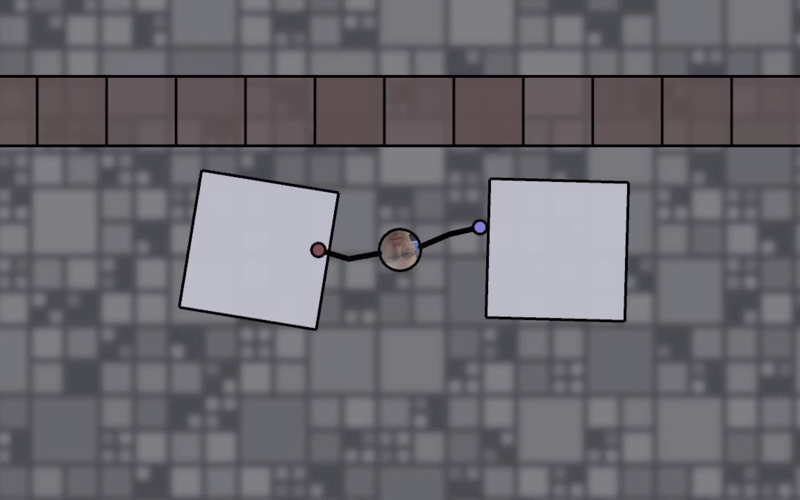 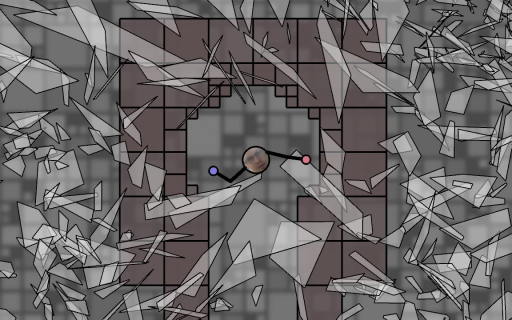 You climb around, flinging yourself around a hazardous (but forgiving) 2D physics environment. 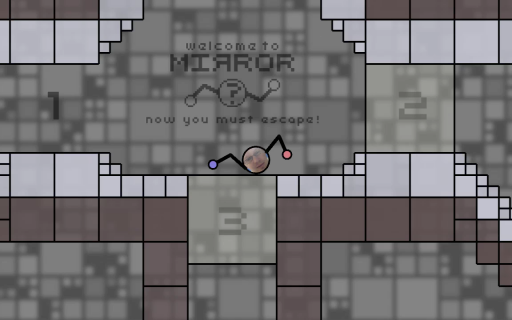 Your only directive is to escape… until you are told at the end of the last level that the only way to escape is to get up and leave! 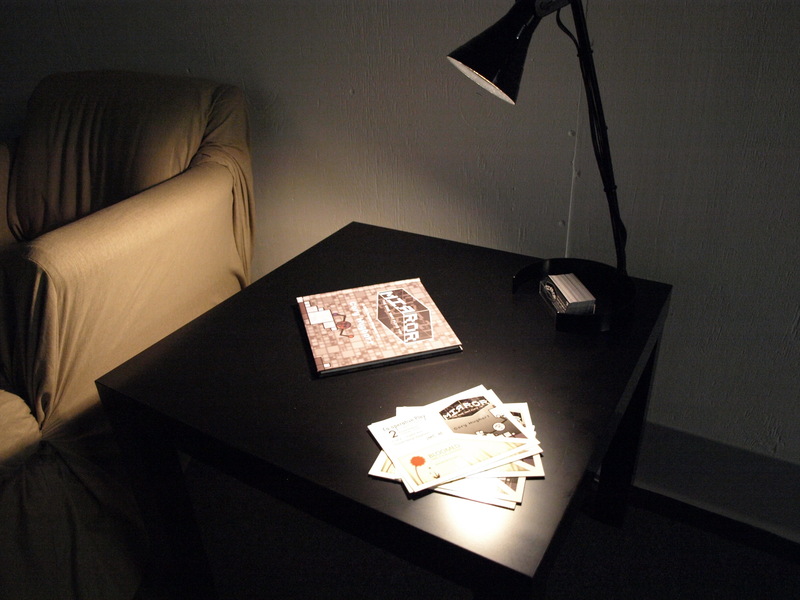 My thesis paper is available as a PDF for your perusal. 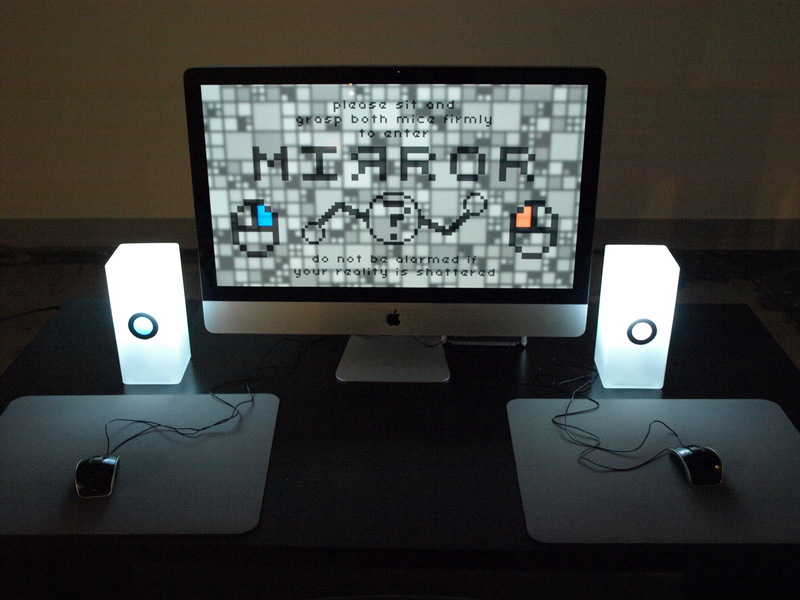 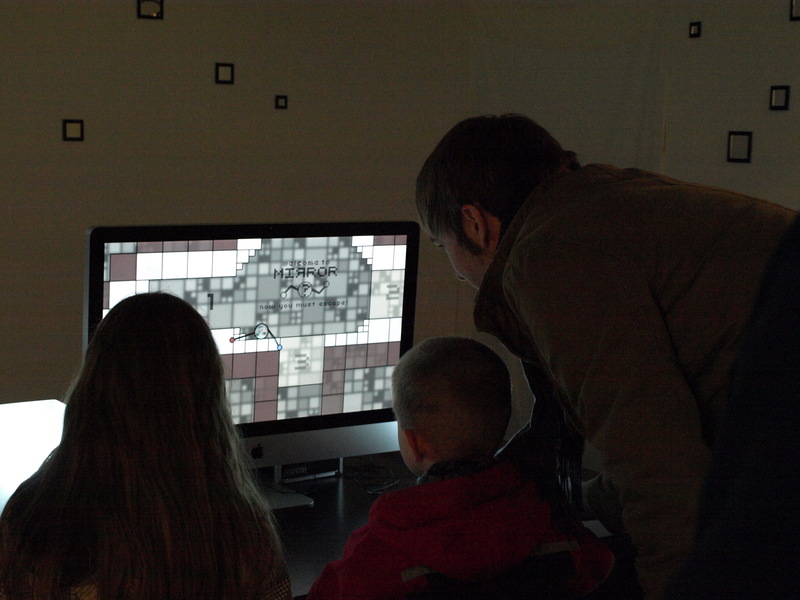 MIRROR was designed for an art gallery setting and so is not easy to distribute. Some day I will revisit and build upon this prototype, hopefully figuring out how to make it available to anyone with a computer and two mice. The haptic feedback will be missing, though… until haptics are standard in computer mice. 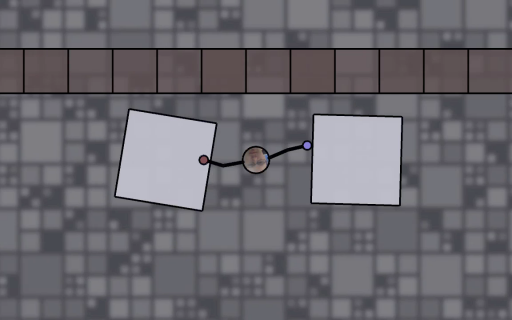 The music in this trailer was made with Beep Box by John Nesky at http://beepbox.co. MIRROR was made with Processing and the Arduino. 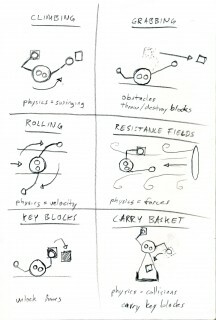 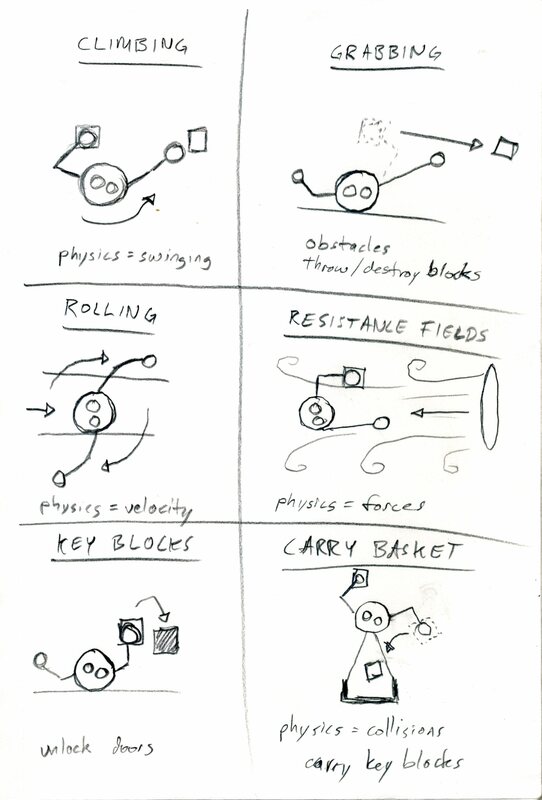 Special thanks to Daniel Shiffman for his PBox2D helper library for JBox2D in Processing.